In early 2018, Starlinger recycling technology introduced a new size – the recoSTAR dynamic 145 – that is specially designed for a capacity range of ~1,000 kg/h. 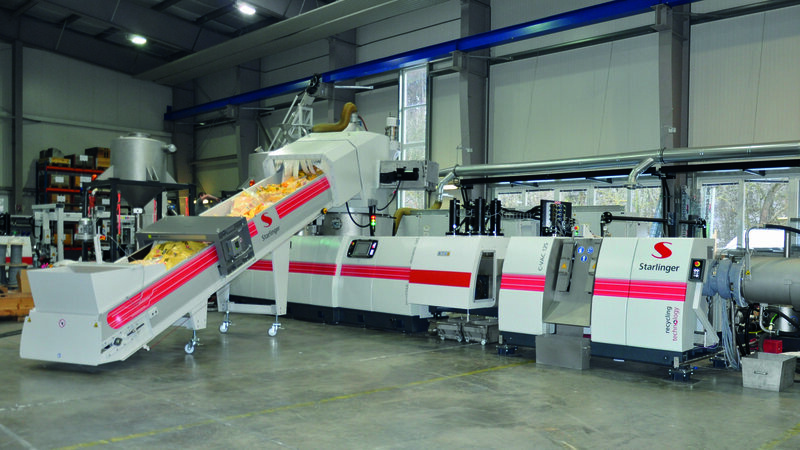 The first three lines are currently being installed, and the company has already received orders for additional machines of this type. 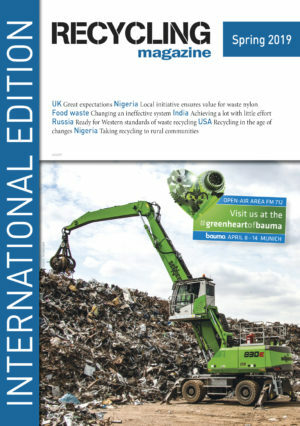 Last year, Starlinger recycling technology supplemented its well-established recycling line recoSTAR dynamic with a seventh machinery size. The introduction of this new size was prompted by numerous inquiries from the area of post-consumer film (e.g., packaging film, agricultural film), which predominantly requested a throughput of approx. 1,000 kg/h. The lines that had hitherto been available, the recoSTAR dynamic 125 and 165 (the numbers indicate the screw diameter in millimeters), were slightly under- or oversized for this capacity. The launch of the recoSTAR dynamic 145 bridges this gap: The line is designed for approx. 1 ton of regranulate and shows an optimal cost-benefit ratio that renders it very attractive also from a commercial perspective. The fields of application of the recoSTAR dynamic are manifold. Be it industrial or post-consumer waste, humid or heavily printed material – the line is extremely versatile and permits a customized setup. A central component is the SMART feeder, which on top of drying and condensing the material ensures a homogeneous mixing ratio. Recyclers of post-consumer and/or heavily printed film also operate the highly efficient degassing unit C-VAC; this module is positioned after the filter and can be controlled independently of the main extruder. In the C-VAC, the melt surface is increased by 300 %, which allows the efficient removal of gases and prevents air from being trapped inside the regranulate. This is especially important for film recyclers because ink, humidity and contamination can lead to higher formation of gases during the extrusion process. The market gives a warm welcome to the new machinery size: Shortly after its introduction, Starlinger recycling technology could log the first orders in its books. Beginning of 2019, the first three lines are being installed and will be processing different kinds of film (LDPE / LLDPE / HDPE, agricultural film or production waste). All lines are equipped with the C-VAC module and will recycle material with 4-10% surface moisture. Due to its excellent quality, the regranulate will predominantly be used for the production of new films. Andritz has received an order from Pyrum Innovations AG, Germany, to supply a complete tire recycling plant for their thermolysis facility in Dillingen, Germany. Next articleAndusia Recovered Fuels and Lowmac have formed a partnership in order to supply RDF waste material to EfW plants in Europe. The waste will be recovered and used to create energy and electricity, therefore avoiding UK landfill.